Welcome to the Southtowns! Just south of the City of Buffalo, thriving communities exist that offer a variety of business services, entertainment, and outdoor fun all year long. We are in the “Sweet spot” of WNY; in just minutes you can live it up city-style or relax and enjoy a more rural environment. Take advantage of all we have to offer from Boutique shopping, food and drink innovations, and major festivals to nature walks and Lakefront beach activities. Our communities are at the center of it all. Check it all out in the 2019 Discover the WNY Region! Order your Ad in the 2020 Discover the WNY Region Guide Book by clicking here. We have two year-round beaches with life guards in the summer months for swimming. The Hamburg Beach and Town Park is a resident-only local get-a-way located on 4420 Lakeshore Rd. With amenities like a snack bar, kayaking, paddle boarding, boating or just long walks along the massive Lake Erie while watching the sunset, our residents can take full advantage of Lake access. The Woodlawn Beach State Park is open to the public so residents and visitors can explore the fun activities. This park is a State Park maintained by the Town of Hamburg. This fresh water beach is located at 3580 Lakeshore Rd. in the Village of Blasdell; part of the Town of Hamburg. It is the place to be for festivities, swimmers, nature lovers and outdoor activities, and a new Adventure Day Camp for the little ones, Woodlawn Beach is the place to be when the weather gets hot. Woodlawn is the only state park and beach bar in which you can enjoy a tasty beverage with your feet right in the sand. 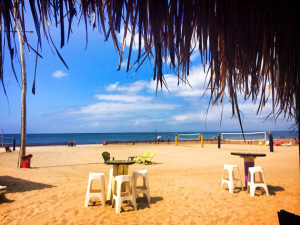 The venue includes three tiki bars, VIP bottle service cabanas, both day bed and lounge chair rentals, three volleyball courts, dozen of beach games and daily specials with onsite promotion from some of your favorite liquor and beer companies. Each night during the summer Woodlawn will have something different to offer. There will be music six nights a week including both local and nationally touring bands and DJ’s. Open mic nights giving performers the chance to entertain at random. Game nights including corn hole, volleyball and soccer leagues. Special food and beverage nights including weekly beer and wine tastings, margarita nights, food trucks and taco nights. Local businesses host a variety of functions and happy hours and many charities to raise money for worthy causes. For more information on Woodlawn State Park click here. Hamburg also hosts the annual Erie County Fair – one of the largest county fairs in the country. This ten-day event is fun for families and features a massive variety of unique foods, rides and attractions for all to enjoy. Besides the Erie County Fair, there are a variety oof shows, festivals, and artisan fairs throughout the entire year on the grounds. Check out their website for more information on all the happenings at the Fairgrounds. The fairgrounds provide year-round fun with the Hamburg Gaming and the Buffalo Raceway open all year. 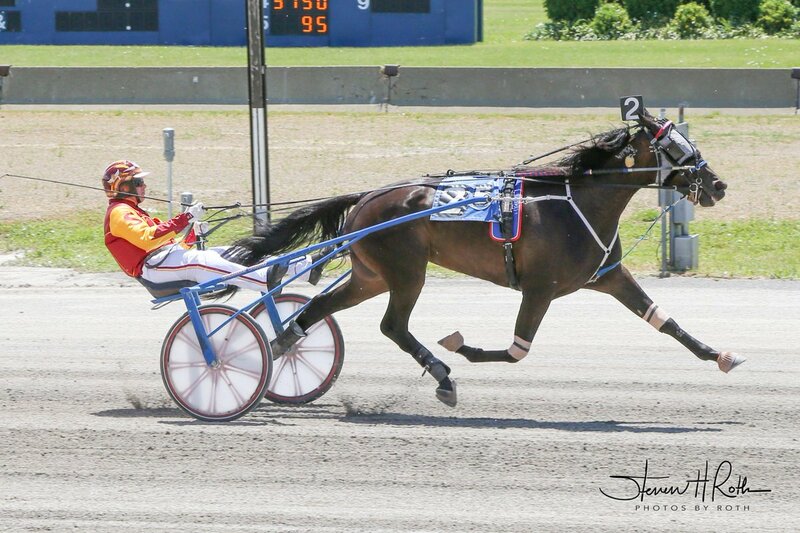 Managed by the Erie County Agricultural Society, these venues specialize in grandstand entertainment and rides, have over 950 slot machines, regularly host live concerts and shows, feature award-winning restaurants and premier live harness tracks and racing. These spectacular venues are a must-visit! 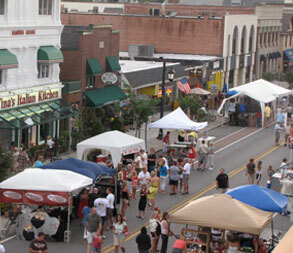 Multiple community organizations and businesses work to continuously offer unique experiences and a better place for all those who live, work and visit the area. Check our Calendar of Events for all the events happening from Lackawanna through the Boston Hills, covering over 20 miles! Hamburg Farmers’ Market (Saturdays, May – October) Visit our webpage at the top of this page! Erie County 18 Mile Creek Park has plenty of areas for Hiking, Biking, Snowshoeing. Erie County Agricultural Society featuring year round events at the Events Center! Penn Dixie Fossil Park and Nature Reserve offers an array of activities for people of all ages. From gazing at the planets on astronomy nights to digging for fossils with expert geologists. They hold special vents all throughout the summer months including summer camp! Live Concerts and movie nights, entertainment and nightlife. Whether you’re looking for local, independent shops and boutiques or the hustle and bustle of a commercial retail center, there is something for everyone! Enjoy a stroll down Main and Buffalo Streets in the Village of Hamburg to discover quaint local shops, or take a trip to the McKinley Mall for premier shopping with National Brands. Join in the annual Green Friday Celebration the Friday after Thanksgiving for amazing deals and give-a-ways while you enjoy a trolley ride throughout the Village of Hamburg. Are you a foodie? Do you like fine dining or causal? Need a caterer for your next event? 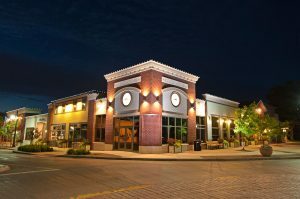 From Lackawanna through Boston there are unique eateries that have everything from traditional cuisine to exotic and specialty dinning. Click here for a list of restaurants or check out the Discover Hamburg Guide at the top of the page for a list with brief food descriptions and pricing. Looking for something you will not see any other place? 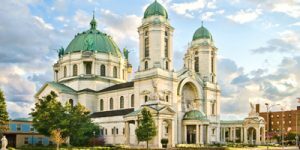 Check out The Our Lady of Victory Basilica with its unparalleled architecture, it is a Catholic parish church and national shrine in Lackawanna, New York. Due to the multiple charities of founder Father Nelson Baker, the shrine is a popular pilgrimage and visitor destination in Lackawanna. Click on the picture below. 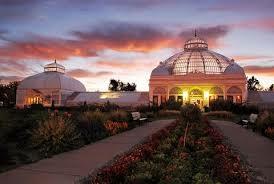 Enjoy gardens year-round in the spictualr Botanical Gardens. These gardens are the product of landscaping architect Frederick Law Olmsted, glass-house architects Lord & Burnham, and botanist and plant-explorer John F. Cowell. They have multiple activities throughout the year for all ages to enjoy and see unique plants and flowers from around the world. For parents or future parents, education is an important consideration when choosing a home. Hamburg is proud to be home to three excellent school systems – Frontier and Hamburg public schools and St. Francis private high school for boys. In addition Lackawanna has multiple schools to accommodate cultural diversity, such as the Al-Rasheed Academy or check out the Lackawanna public school system. 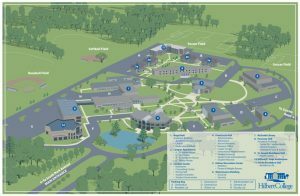 We’re also home to Hilbert College, which conveniently hosts a variety of undergraduate programs, as well as, St. Bonaventure master’s degree programs.